Even without counting the vast Espace Killy linked ski area, Tignes has nearly 100 miles of local runs, some of the finest and most easily accessible freeriding terrain in Europe, plus a glacier to provide year-round skiing. Tignes has gone to great lengths to make its ski area accessible to guests of all skiing abilities. There are special zones where strict speed limits are enforced to make beginners feel comfortable, as well as patrolled but ungroomed ski runs for advanced skiers and a designated off-piste area. The four main ski areas are La Grande Motte, the Col du Palet, Tovière and the Brévières sector beneath the Aiguille Percée. La Grande Motte glacier has something to offer every type of skier: tremendous views, high alpine beauty, gentle blues, long and varied reds and seriously challenging off-piste routes. While the long top-to-bottom red into Val Claret is a great run, it does get crowded, so get up early to enjoy it. The Col du Palet area is above Val Claret and offers a handful of red and blue slopes. It's also where you'll find Le S.P.O.T., accessed from the Col des Vés chair-lift. 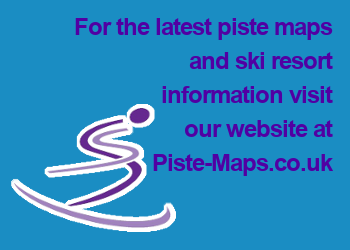 This is a dedicated area where intermediates and advanced skiers can get to grips with off-piste technique, with zones for experts, less confident skiers and freestylers. Named after the champion freerider and local Tignard, the Guerlain Chicherit run in this area is everything a serious off-piste itinerary should be: high, north-facing and tucked away where few people venture. Tovière above Le Lavachet offers varied terrain and access to the gentle, green slopes above Val d'Isère (make sure you have an Espace Killy ski pass to ski on these). Beginners should start off on the lower Le Lavachet greens before making their way up to Tovière and taking the long blue H piste down into Val Claret. The western side of the Tignes valley is typically quieter than other areas and has fantastic snow and varied terrain. The gentle, wide blues into Tignes Le Lac are long, delightful stretches of sunny corduroy first thing in the morning. Tignes longest piste, La Sache, a 10km Black Piste, starts at the L'Aiguille Percée and descends down to Tignes Les Brévières. The long, relatively quiet pistes from l'Aiguille Percée down into Tignes les Brévières and Tignes les Boisses are wonderful, particularly in bad weather as the lower slopes pass through trees. Skiers of all abilities can choose the route best suited for them, but the long black Sache piste into Brévières (1,200 vertical metres) is a must for confident skiers. Intermediates can avoid the steeper lower half of the run by taking the red that winds towards Les Boisses.